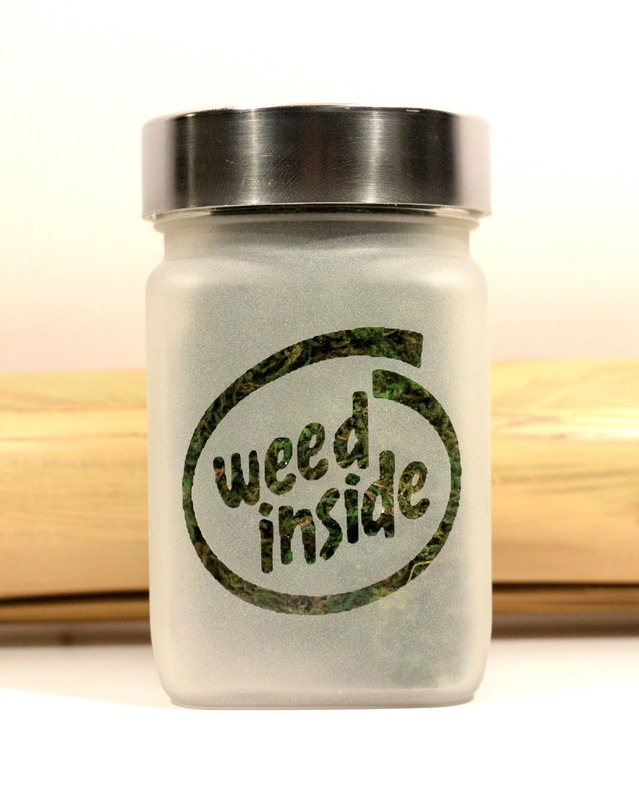 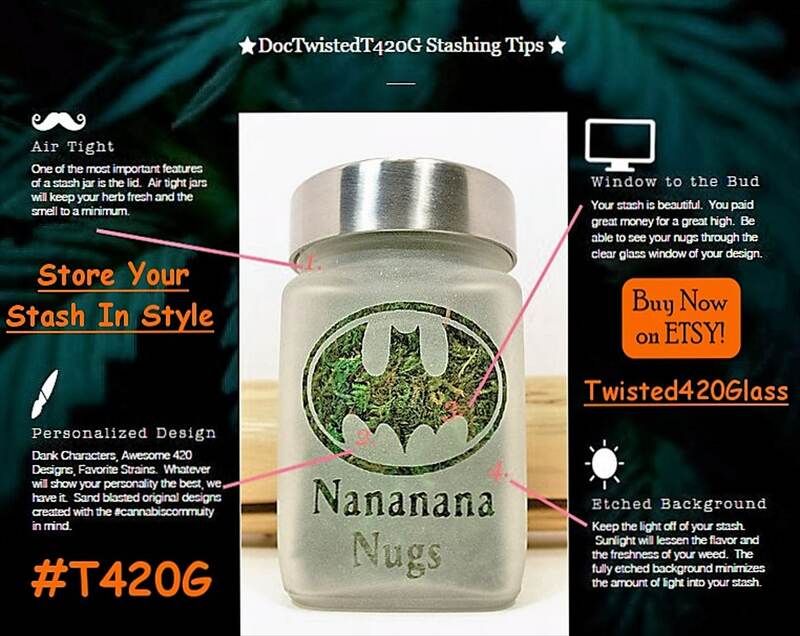 This is a great stash jar etched with Weed Inside - Intel Inspired. 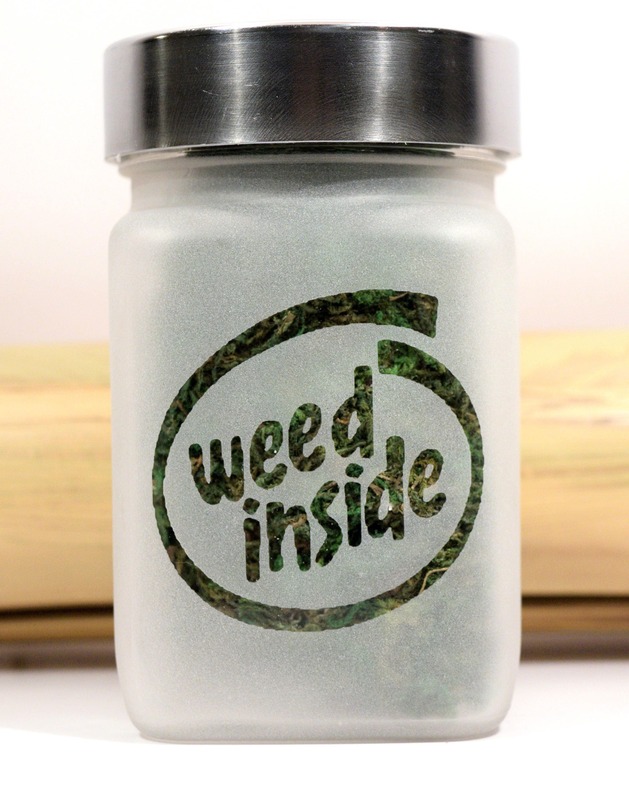 Keeps your weed fresh. 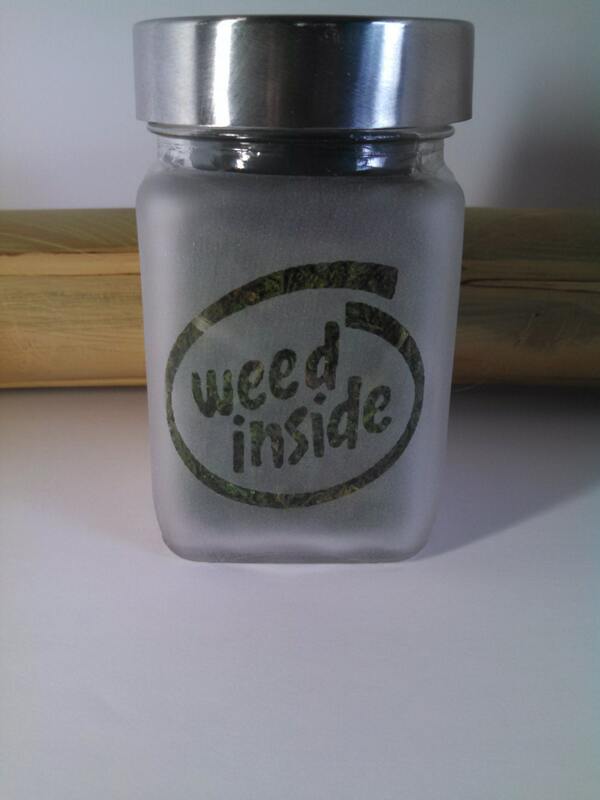 Food grade stash and weed jar, brushed aluminum screw on lid. 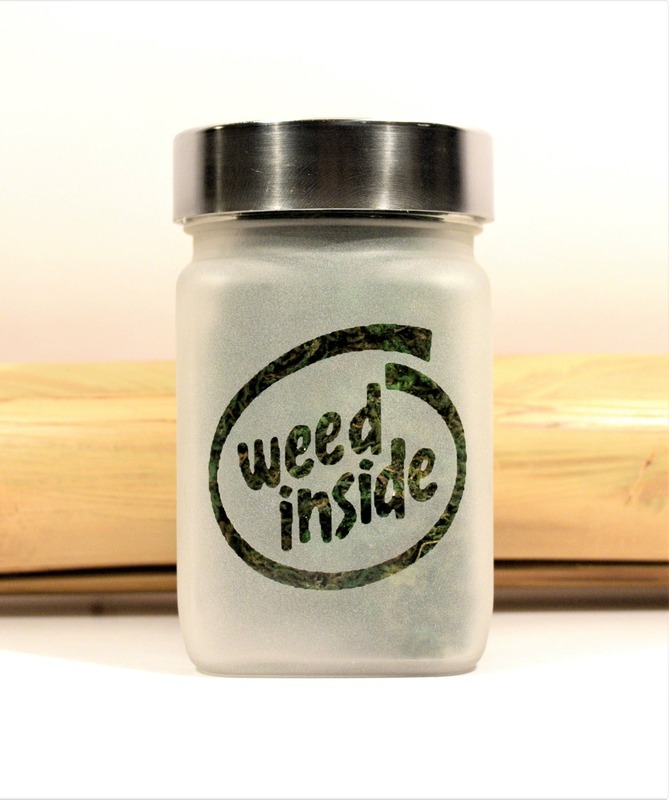 Weed Jar size roughly 2.5"w x 3.5"T.
Note: The weed inside image in photo has a Green back drop. 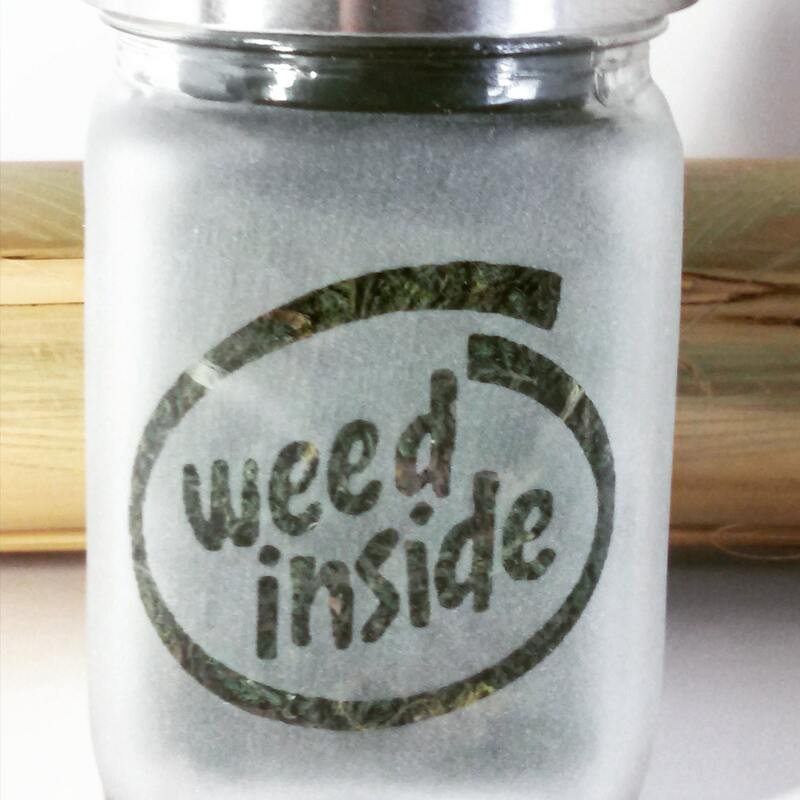 When it arrives the Intel inspired Weed Inside logo will be clear glass. 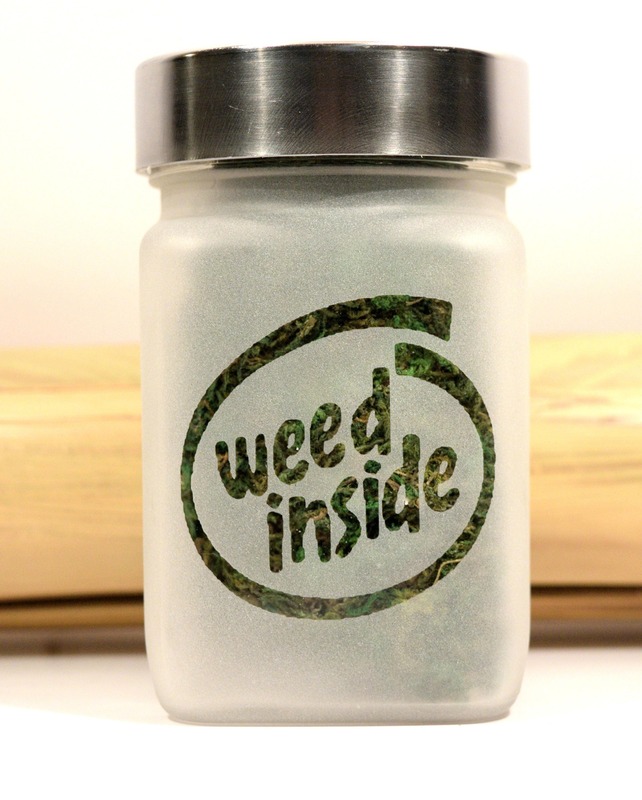 Other sides are solid etched .